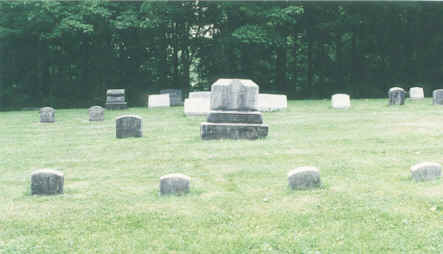 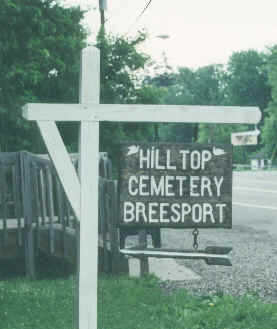 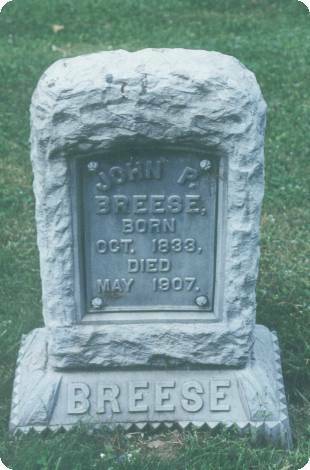 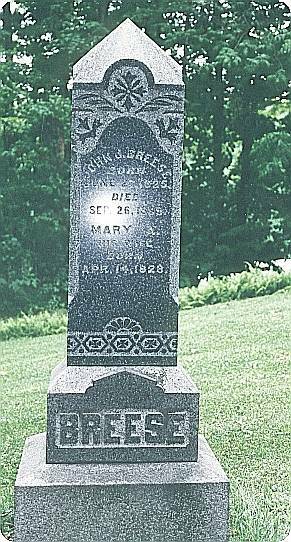 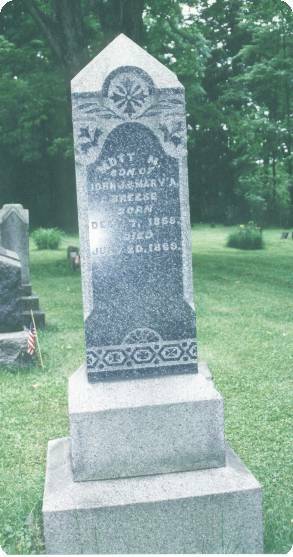 The Breesport Cemetery is located off of Highway 223 in Chemung County New York and is approximately 3 mile from the center of Horseheads. 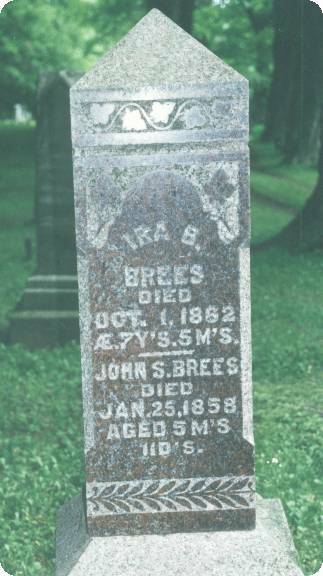 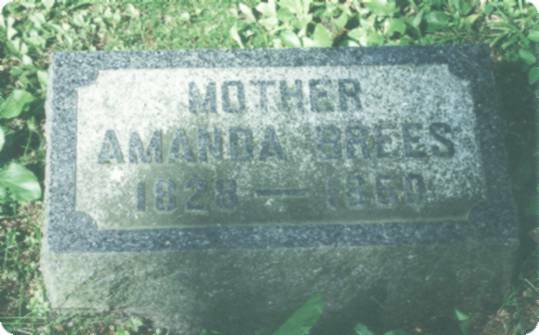 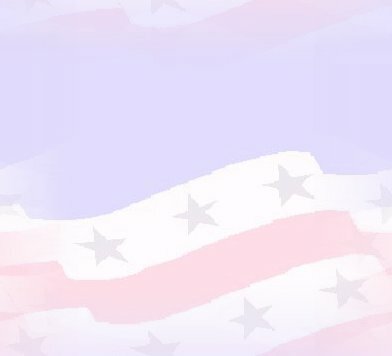 Amanda A. Brees (Humphrey) No May 12, 1817 Mar. 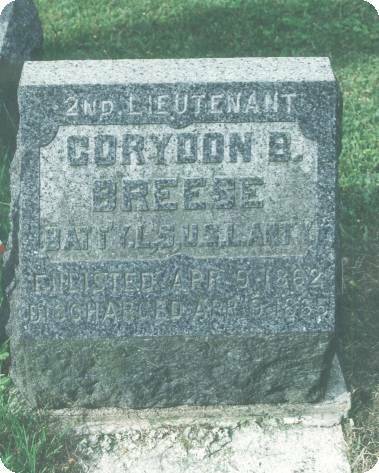 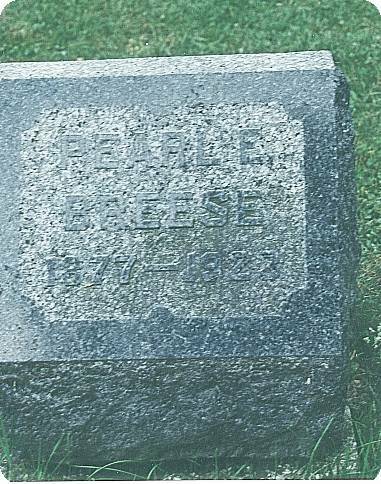 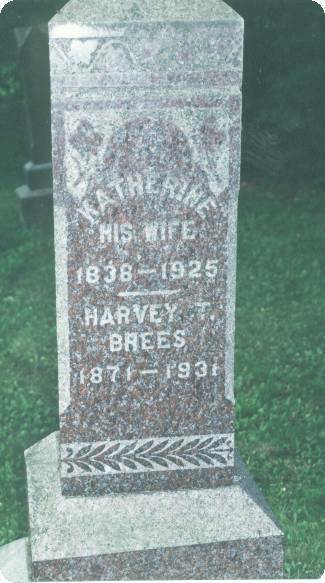 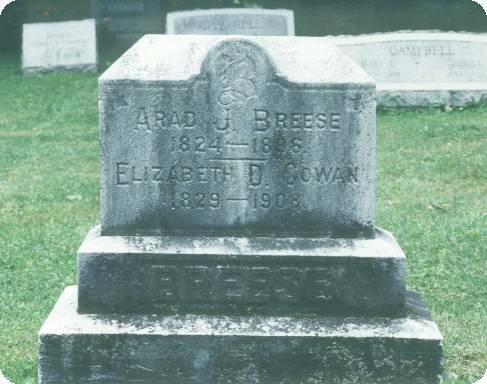 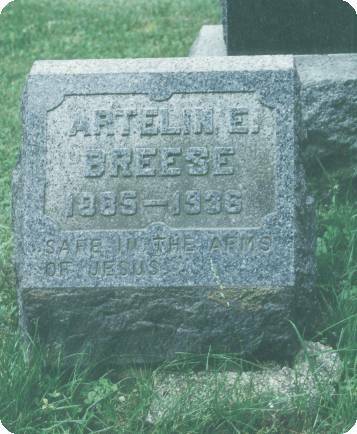 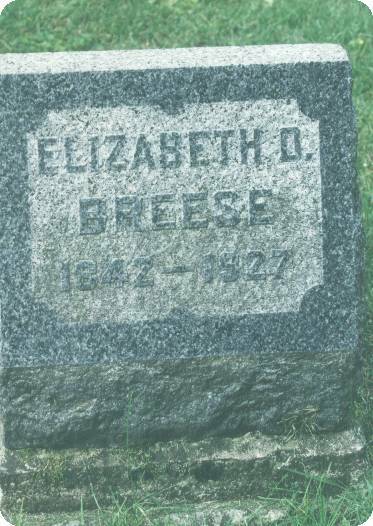 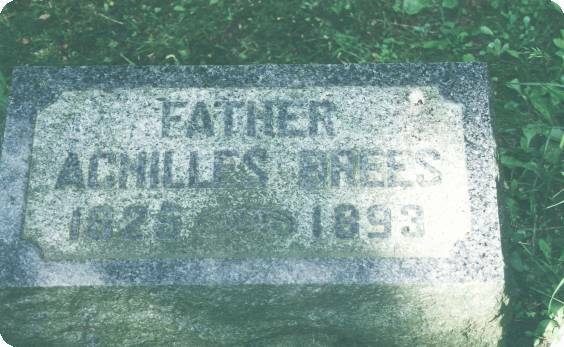 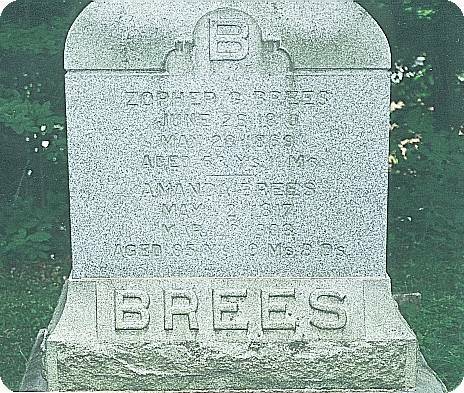 20, 1903 n/a wf of Zopher G.
Caroline Breese Yes 1820 1904 n/a wf of William H.
Elizabeth D. Breese Yes 1842 1927 n/a wf of Corydon B.
Elizabeth D. Cowan No 1829 1908 n/a wf of Arad J.
Mariah A. Brees No n/a Oct. 26, 1865 41 yr 8 mo 17 days wf of William R.
Sarah J. Brees No July 15, 1833 Feb. 25, 1890 n/a wf of Myron H.